Dmitrii Bykov seems to write everything: novels, poetry, essays, literary and film criticism, even voiceovers for the documentary Девственность (Virginity). Bykov knits together elements from many of those forms in Списанные (The List), a 2008 novel that portrays aspects of Moscow life in the нулевые годы – the “zero years,” our strange current decade that apparently has no name in American English but is called “the noughties” in British English. The book’s title refers to around 180 souls who discover they’ve been placed on a mysterious list. The verb списать (spisat’) can mean copy, and it’s the root for список (list), but it can also mean “write off” in an accounting sense. Bykov focuses on Sergei Sviridov, a young screenwriter who, at the start of the book, is flying to a film festival in Ukraine with Маленькое чудо (The Little Miracle), a treacly sounding children’s film about a young ballerina. The List tracks Sviridov’s life after he learns he’s on the list. He meets other listees, first through the Internet, then in person, spending time with them at a dacha party, cafes, and his own bed. Despite all the meetings and events, some of which sound painfully predictable and Soviet, Bykov relies more on psychology and conversations than dramatic plot twists to move The List. Though the list’s provenance remains something of a mystery and still feels sinister even at the end of the book, I came to see the list as a tool that characters used to build relationships and fill vacuums in their zero years lives. One chapter even covers who sleeps with whom, a Dionysian list within the list. With all its slang, borrowed words, verbal tics, and commentary on contemporary Russian politics and culture, The List feels almost self-consciously set in our time. Bykov’s tinges of Kafka, Dostoevsky, fantasy, and the grotesque (to borrow from the blurb on the back of my book) seem, paradoxically, to add to its almost documentary atmosphere. Life is, after all, absurd. For me, the book’s biggest shortcoming is that some passages are too busy with discussions about politics and philosophy, or cultural references. (One page mentions both Vladimir Zhabotinskii and David Cronenberg.) Though I could imagine many of the conversations taking place in what passes for real life, I thought many of the denser idea-based sections felt inorganic to the book, as if Bykov-essayist had temporarily overruled Bykov-novelist. I much preferred Bykov-novelist’s straightforward scenes focusing on Sviridov’s emotions and relationships. With so much diverse material, I suspect that List readers have very different takes on what dominates: some will read it as a humorous novel, others will find a social novel about repression and politics in post-Soviet Russia, I see a picture of loneliness and attempts to understand what passes for reality. And so on. The List left me with an unusual and rather odd ambivalence. Though I enjoyed some sections – like Sviridov’s struggle with obsessive-compulsive disorder – when I finished, I felt a little underwhelmed. Most of the themes and ideas were familiar from the news, other fiction, and my own life. That is, I suppose, the downside of a book that focuses so closely on the present day. The other side of my ambivalence is this: I understand why someone might like all of The List. I know many fiction readers enjoy reading political and philosophical conversations, and I suspect the book could well appeal to readers outside Russia, in translation, as one writer’s fictional but documentary-feeling picture of Russia in the noughties. Today’s New York Times included a curious piece: Serge Schmemann’s “Nixon and Khrushchev, the End of an Unscripted Era,” an Editorial Observer column about the Moscow “kitchen debate” between Richard Nixon and Nikita Khrushchev on July 24, 1959. Morris includes Roosevelt’s comments on the book, which start with “I hardly know whether to call it a very bad book or not.” Roosevelt then discusses his opinions of the characters, saying that Anna was “in a certain sense insane” because her reasoning was so unbalanced. The full text appears in this note in Nathan Miller’s Theodore Roosevelt. Bonus: New York City Travel Tip. The combination of Theodore Roosevelt and Russian novels reminds me that Russian Bookstore No. 21 (174-176 5th Ave., Suite 200) and the Theodore Roosevelt Birthplace (28 E. 20th St.) are just a few blocks away from each other. Though the house where Roosevelt was born is reconstructed, the tour was interesting, and there are many significant artifacts, including the shirt T.R. was wearing when he was shot. P.S. The July 24, 2009, New York Times contains another, longer piece about the kitchen debate: William Safire's op-ed, "The Cold War's Hot Kitchen." Safire was at the exhibit, "as a young press agent for the American company that built the house" and offers some interesting and funny anecdotes. So! Orlov’s Danilov is a talented violist living in Brezhnev-era Moscow. He plays in orchestras and inspires a composer to write a piece just for him. Most of his life lacks in glamour: his ex-wife asks for favors, he forgets to retrieve his pants from the drycleaner, and he’s in debt. He is also falling in love. The mild-mannered Danilov lacks the flamboyance you might expect of a demon and doesn’t seem too unusual unless you know he enjoys bathing in lightning and can perform bits of magic that he sometimes regrets later. Danilov’s love for music and dislike of wreaking havoc on earth mean trouble with his demonic handlers – he’s just too human. When Danilov travels through time and space to the Nine Layers (headquarters) for something resembling a trial, he is accused of being too helpful to earthlings. They know, for example, that he’s helped old ladies cross the street. One demon asks: “Какая пользя нам от этой старушки!” (“What use is that old lady to us!”) The clash of values between Danilov and the demons has a strongly allegorical feel. Though the demons don’t have ultimate power over humans, these growers of UFOs certainly aren’t do-gooders, and their reasoning and bureaucratic language are reminiscent of the Soviet government. Reviews of Danilov often note similarities to Mikhail Bulgakov’s Мастер и Маргарита (Master and Margarita). Sure, there are common themes, such as parodying bureaucracy and showing struggles between earthly and otherworldly figures. Still, though both authors incorporate plenty of humor, the books left me with very different feels that seem to reflect their times. Master and Margarita leans toward darker philosophy and religion and is intellectually heftier. Danilov, with its everydayness and rational resolution, tilts toward cozier fantastical fiction about a musician I might have seen on the Moscow Metro. Summary: I loved Danilov’s humor and magical touches. There are many more layers of characters, subplots, and themes I haven’t mentioned, including a blue bull, silencism, and people who claim to know the future. Unfortunately, these various and varying parts don’t always quite dovetail into a harmonious book. Still, Danilov is often an impressively imaginative novel, and I will look for Orlov’s more recent books -- Камергерский переулок (Kamergerskii Lane) was short-listed for the 2009 Big Book. I would particularly recommend Danilov to anyone predisposed to enjoy the combination of humor, music, and fantasy/science fiction. Viola photo by surfbird, via sxc.hu. 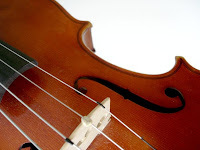 Photo is called "My Viola1," and carries the note "No, it's not a violin, it's a viola." 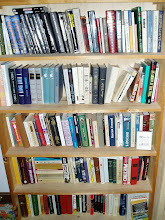 First, Three Percent, a blog about international literature, posted databases listing translated books of fiction and poetry that were published in English during 2008 and 2009. I won’t get too statistical on you, but 20 books translated from Russian to English were on the 2008 list; there are 11 for 2009. The databases are up-to-date as of July 1, 2009. Get your Excel databases here – there are multiple sheets per document, sorting information by country, language, and other characteristics. In sadder news, writer Vasilii Aksyonov died yesterday; he was 76. Aksyonov suffered a stroke in January 2008 while he was driving. AFP’s obituary (here) outlines Aksyonov’s career and lists some of his best-known books. I might also suggest Остров Крым (The Island of Crimea), which I read about 20 years ago and remember as entertaining and imaginative satire. One of my Russian teachers always recommended Ожог (The Burn), which, I admit, I have still not read. Aksyonov was, along with Andrei Bitov, Viktor Erofeev, Fazil Iskander, and Evgenii Popov, one of the editors of the 1979 literary “almanac” МетрОполь (MetrOpol’, with stress on the first o), a samizdat publication containing work by over 20 writers and artists. The Soviet Writers Union refused to publish it. The SovLit site contains some translated documents about the criticism that MetrOpol' drew. The full long list is available here on the Booker site. The Booker people will announce the short list on October 7 and the winner on December 3. The winner will receive 500,000 rubles, and each finalist will receive 50,000 rubles.